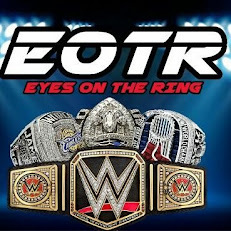 The year is about over for the WWE. After a year full of ups and downs, injuries, and the beginning of the final chapter of a few careers, we've arrived at the time of year when we reflect back and think of who really shined the brightest. What better to sum up the year than with year end awards? Today, we start from the top and work our way through a week of awards, and what better way to start than with the wrestler of the year in the WWE? The wrestler who put on the best matches. Gave the best performances. Who fits this description? Let's take a look at the 5 runner ups and the no. 1 choice for WWE Wrestler Of The Year. -Who would have thought? 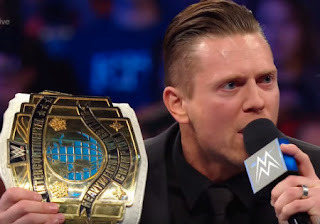 Miz has been the face of the Intercontinental Title division for a while and this year has been the year for him to step out and show what he can do. With his wife Maryse by his side, he seems rejuvenated, as his promos have been outstanding, and his dynamic with Daniel Bryan is making all the fans want one more match from Bryan versus Miz. He's had some match of the year candidates as well, with Sami Zayn, Cesaro, and Kevin Owens at Extreme Rules, and he of course put on a potential classic against Dolph Ziggler at No Mercy. The Miz seems poised to be in the main event in 2017 and he's ready for a career year certainly. -Truthfully, Sami Zayn could have been in this spot, as match wise, he was one of the best performers. 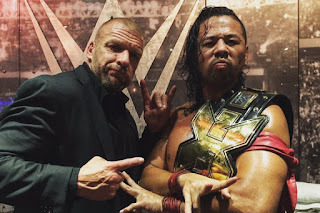 However, Nakamura was the man in NXT this entire year and he kept the brand afloat with his matches against Finn Balor, Sami Zayn, Austin Aries, and his recent feud with Samoa Joe. All those dream matches happened in NXT and Nakamura was easily the most popular guy on the brand. Nakamura is easily the wrestler of the year in NXT as a brand, but he falls just a bit short in terms of the WWE as a whole. Perhaps that'll change next year? -I have to give Ambrose a mention, despite some fans not being pleased with him this year. To deny that this was the year Ambrose became a bit more legit is ridiculous. 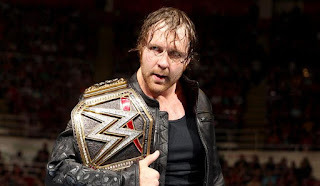 After a tough 2015 where he lost, and couldn't headline anything really, Ambrose kicked off the year with a great Royal Rumble match for the IC Title with Kevin Owens, then main evented Fastlane with Brock Lesnar and Roman Reigns, before having a big money yet disappointing match with Brock at Wrestlemania 32. After that however, Ambrose picked up the pace, with a solid feud with Chris Jericho, then winning the MITB, cashing in on Seth Rollins later that night and becoming the WWE Champion a month before the brand split. He would then become the Smackdown No. 1 pick, and beat his Shield cohorts in a huge triple threat match before defeating Dolph Ziggler easily at Summerslam. He would lose the title to AJ Styles at Backlash, but managed to stay in the feud for a few months and main event Smackdown and garner a victory over John Cena also. It wasn't a perfect year, but considering the amount of victories, titles and main events he received, Ambrose finally got what he had deserved the last 2 years. 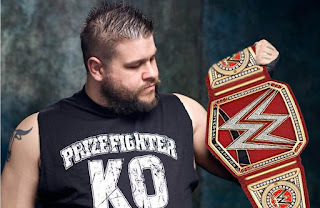 -In a world where Kevin Owens is the lead champion of the most vital brand to the WWE, who would have guessed it? I wouldn't have. Owens came in 2015 and truly earned his spot, beating John Cena, winning the Intercontinental Championship, and feuding with Dean Ambrose. He started off the year with a great match against Ambrose at the Rumble, won the IC Title back, then continued his long running feud with Sami Zayn, which resulted in two match of the year candidates. After starting a team up with Chris Jericho, Owens would get the opportunity of a lifetime, as he would participate in a Fatal Four Way match to determine the new WWE Universal Champion. After some help by Triple H and a huge moment, we saw Owens win the biggest belt in the business. After this, he would put on great matches with Seth Rollins for the title, and get a victory over Roman Reigns as well, capping off a pretty good year for him. Owens was in top form this year and promo wise, he's easily top 3 in the company, maybe no. 1. 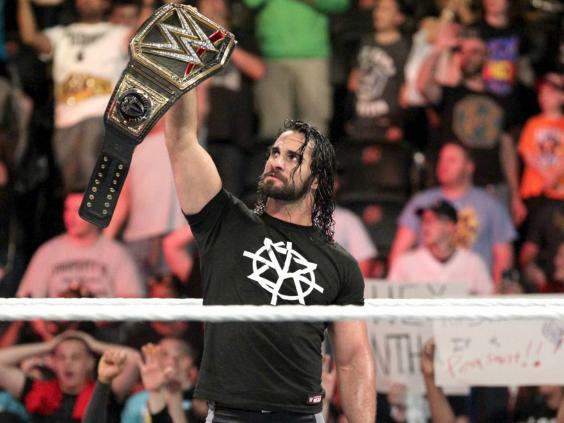 -This was the year that Seth became the biggest face in the company. He missed the first few months of the year and then showed up to Extreme Rules to take out Roman Reigns before defeating him clean to win the WWE Title at Money In The Bank. Though he lost to Dean Ambrose some seconds later, Rollins would regroup and become the RAW no. 1 pick in the draft and stake his claim as the man on RAW. There is no one bigger or even more popular than Seth on RAW and he might be clearly the no. 1 guy in the company. While his wins and titles weren't heavy this year, he did become a face and seems to be adjusting to that role as the top face very well. 2017 should be even bigger for Seth. -Who else would be here? I mean really. Who else? AJ arrived at the Royal Rumble, got a huge pop, and then took over shortly thereafter. He adjusted to the WWE style very well, and ended up main eventing just a few short months after arriving in the company. His feud with Chris Jericho was clearly to help him get adjusted and that's exactly what it did. AJ would go to have really good matches for the WWE Title against Roman Reigns, then started a huge feud against John Cena, which resulted in two of the biggest singles victories of his career, as well as two match of the year candidates at Money In The Bank and Summerslam. AJ would defeat Dolph Ziggler for a no. 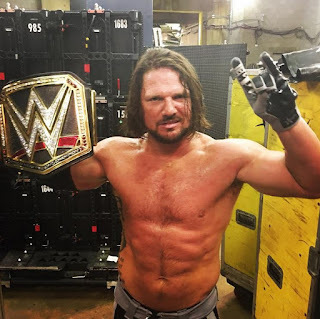 1 contender spot, then go on to defeat Dean Ambrose at Backlash to win the WWE Title just about 8 months after arriving, solidifying himself as one of the absolute best wrestlers in the world, and with his in ring consistency, he solidified himself as the best wrestler in the WWE easily. Aside from this silly James Ellsworth feud, AJ has put on really good matches with Ambrose, including the triple threat with Cena at No Mercy, and the recent TLC match, which could be a possible match of the year candidate as well. When it was all said and done, there was no one who came in and made quite the impact that AJ Styles has and there's no doubt at all that AJ Styles is the wrestler of the year in the WWE and he might be the wrestler of the year overall period. 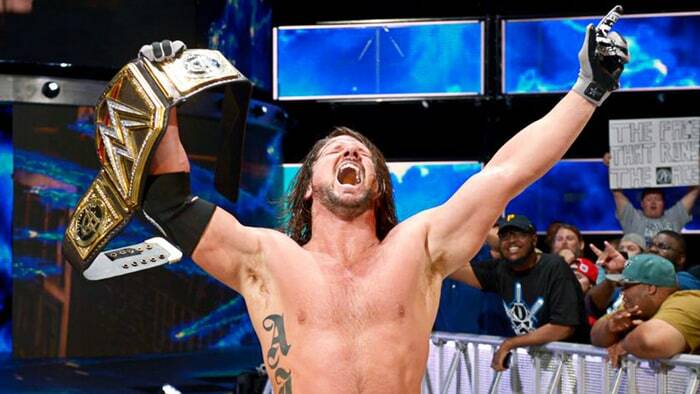 Congrats AJ, you took the WWE by storm and silenced any doubters!